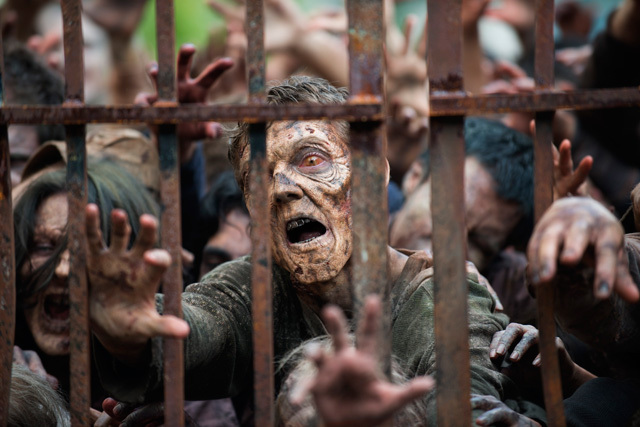 AMC will launch the midseason premiere of The Walking Dead Season 6 on February 14, 2016, which has led to some fans asking, “Hey, just how long are we gonna keep following Rick through post-apocalyptic zombiefied America?” In a new Vulture interview with top AMC executives, the answer could be summed up in one word: Indefinitely. The Walking Dead cast includes Andrew Lincoln as Rick, Chandler Riggs as Carl, Danai Gurira as Michonne, Melissa McBride as Carol, Sonequa Martin-Green as Sasha, Lauren Cohan as Maggie, Steven Yeun as Glenn, Norman Reedus as Daryl, Lennie James as Morgan, Seth Gilliam as Father Gabriel, Michael Cudlitz as Abraham, Josh McDermitt as Eugene, Alanna Masterson as Tara, Christian Serratos as Rosita, Tovah Feldshuh as Deanna, Ross Marquand as Aaron, Alexandra Breckenridge as Jesse, and Austin Nichols as Spencer. Season 6 will also feature newcomers Ethan Embry as Carter, Corey Hawkins as Heath and Emmy-winner Merritt Wever as Dr. Denise Cloyd. Are you looking forward to The Walking Dead midseason premiere?